Exhaust Fans and rangehoods are an important part of your homes ventilation system. They are designed to remove moisture, odours and fumes, in order to protect your home and prevent damage. 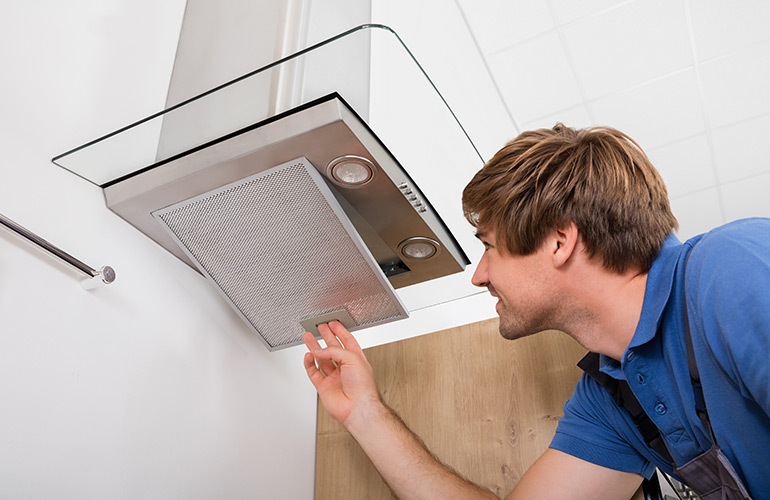 Sparkies Electrical Contracting Services and our team of highly-skilled licensed electricians can expertly install your Gold Coast homes exhaust fan and rangehood. If you are wanting to install an exhaust fans and rangehoods in your new or existing homes bathroom, toilet, laundry and kitchen, we have got you covered. Contact Us to discuss an exhaust fan and rangehood installation in your Gold Coast property. Thank you Barry for the solar installation you preformed on our house in Brisbane, my wife and I are very pleased with the final job. In particular, i would like to praise you on your ability to think “outside the square” when faced with a potential installation problem, I am aware that when you arrived on the job, you had minimal knowledge about the install, the major problems being 3 levels and 12 inches of solid concrete and steel formwork, I found your thought process to be logical and your appraisal of the situation to be most professional, you tackled the job with gusto, and the end result has been very pleasing aesthetically. Thanks to you, our family is now enjoying the benefits of solar power. I would not hesitate to employ your services again in the future, and would be pleased to recommend your services to other potential clients.